After my solo backpacking trip this summer, I am already planning for a longer trip next summer. I would like to do a 100+ mile segment of the Pacific Crest Trail (PCT) in Washington State. The PCT is a 2600 mile trail that runs from the Mexican border into Canada through California, Oregon, and Washington. 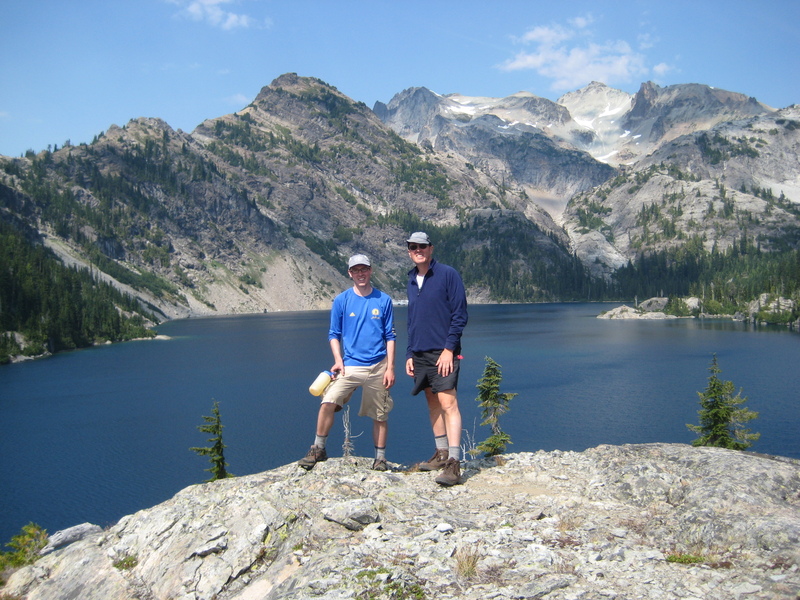 I completed a segment of the PCT with my son Jonathan in 2009 that was both challenging and spectacular. 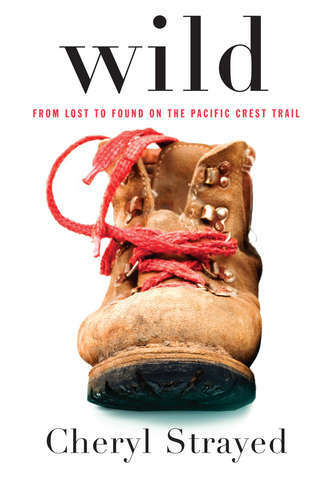 So when some friends told me about Cheryl Strayed’s book Wild: From Lost to Found on the Pacific Crest Trail, I quickly found an audio copy to listen on my daily commute. I later discovered that it had received plenty of positive reviews from various book critics. The book is a memoir that describes both Cheryl’s hike on a long segment of the PCT in 1995 and her grief journey after the death of her mother in 1991. Both pieces fascinated me. The hike was primary but her grief reflections were poignant for me because, as a pastor, I often accompany people on their grief journey. And to top it off, Cheryl was from Minnesota when she decided to hike the PCT. The inspirational trail book that sparked her hike was purchase at the same REI store that I have shopped. First off I must write that Cheryl is very frank and explicit in her language and dismissal of any traditional faith. She does not believe in God or a faith community. Without such faith, her grief became even more devastating and potentially destructive. Her mother had been the center of her life so her death left such a vacant hole. The epitaph on her mother’s tombstone,“I am with you always,” is almost a direct quote of Jesus’ last words in Matthew 28. Cheryl’s hike on the PCT became a literal grief journey as she tried to make sense of her life without her mother’s physical presence. As a Christian, I am thankful for the assurance that God keeps his children safe, even after their death. Because I trust in Jesus, I trust in the resurrection of the dead. Second, Cheryl is a very funny writer. She admits that she was totally naïve as she started the hike, having never backpacked prior to the trip. She packed way too much gear, waaaay too much. Her description of how she packed her pack the first morning and then tried to lift it from the floor of her motel room is priceless. Over time she learns to lighten her load and to acknowledge her limitations. As I read the book, I was won over by her perseverance and humor. I did not learn anything new regarding the PCT or backpacking, but I did learn to laugh with Cheryl and hopefully at myself as well. Lord Jesus, give me the grace to be persevere in difficult situations while laughing at myself. This entry was posted in grace, Jesus and tagged backpacking, Cheryl Strayed, grief, Pacific Crest Trail, wild on September 19, 2012 by Pastor John Keller. Wild life abounds in Rocky Mountain National Park. In the high country I enjoyed the fat marmots sunning themselves on exposed boulders while small pikas scurried around beneath them. There were some large falcons circling on the heat thermals each afternoon and one trail was closed due to an aggressive raptor in the area. On my recent trip, two wild life encounters stand out. First was an elk. 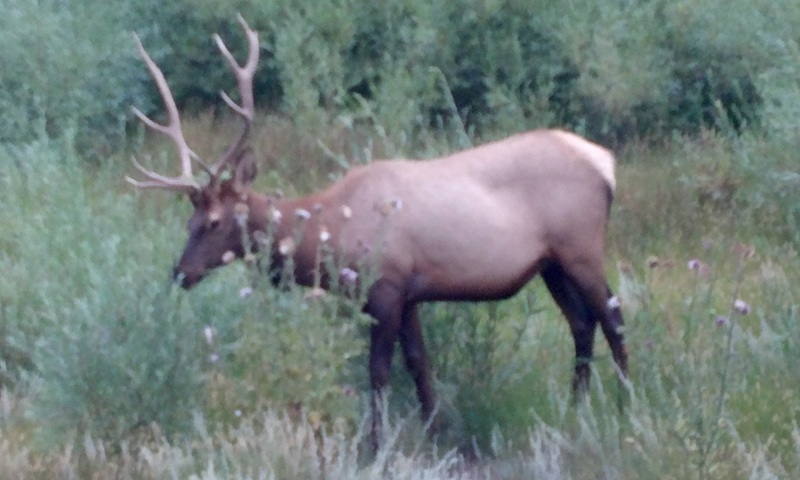 I was bicycling an Estes Park city trail one evening when I was surprised to spot an elk only a few feet from the trail. He was enjoying an evening meal and had no problem with me stopping and taking his picture. Later I learned that elk are prevalent in Estes Park as fall approaches. The residents consider them a sign of the changing season. My second encounter was late at night. I had placed all my campsite food inside my car, except for my ice cooler. I figured that no chipmunk or squirrel would be able to open my cooler. At 11:30 pm I was awaken from a sound sleep by a crash outside my tent. I quickly grabbed my flashlight and poked my head from the tent. The cooler was on the ground, its contents strewn across the campsite. I stepped outside the tent and then spotted the two yellow orbs and the big brown shape staring back at me about 10 feet from the cooler. A bear had entered my campsite. For nearly a minute we stared at each other. He (or she) made no moves towards the cooler or me. I stepped back to my car and open the car door for a quick exit, but the bear still did not move. I slammed the car door in hopes of frightening the bear. The sound startled the bear and it took a few steps back. After a second, louder car door slam, the bear turned and dashed off into the woods. After waiting a few minutes, I gathered up all the food from the cooler and repacked it before placing it inside the car trunk. I did take some deep breaths and contemplated calm images prior to falling asleep again. The next morning I discovered an empty tortilla wrapper; the bear had found something to eat. The two encounters started me thinking about how people might encounter God. On the one hand we might think of God as a sign of the season, a kind of wild pet that comes and goes as it pleases, of which we occasionally make sightings. Such encounters seem safe and calming, but they rarely change our behavior or lifestyle. The second encounter was more disruptive, more awe-some. It reminded me that God is GOD ALMIGHTY, and that awe and fear can be appropriate responses to a God-encounter. Such encounters can change our behavior. I kept the cooler locked in the trunk after that night. God is the Almighty, Ruler of heaven and earth. When the Israelites confronted God on Mt. Sinai, they were terrified and thought they would die. “For who is there of all flesh that has heard the voice of God speaking out of fire as we have, and remained alive?” (Deut. 5:26) I fear that we might have turned God into our manageable pet, rather than seeing God as the awesome Creator of the Universe. Perhaps we need a crash at midnight to wake us from our spiritual slumber. In what ways is God “wild” to you? Almighty God, break into my life with all your power and glory that I might see you as you truly are. This entry was posted in Holy Spirit, Uncategorized and tagged awe, bear, elk, God, wild on August 31, 2011 by Pastor John Keller.